4 week-long 'Stabilization phase'. During this phase no new development is being done in version 4.3 -- the main effort is on testing and reviewing all the changes. 'Regressive testing' phase comes next -- when the whole system is being retested to make sure that changes did not have any unintended consequences in other parts of Wild Apricot. This is done on our internal test servers. 'Pre-live' testing is another round of regressive testing, this is done on servers in our 'production environment', meaning that they are running side by side in the same hosting centre which serves the live system to our clients. This is done to ensure that differences in the configuration of servers and network between our test system and live system would not cause any unexpected issues. Second, the support team will be working on creating an updated version our online help pages, which will be launched on the same day as the new version. As you can see, there is still quite a bit of work to be done -- but we are on track to launch version 4.3 around end of November (might be early December). I have already described most of the 4.3 changes in previous monthly updates (see August and July) and you can also view a summary on the release history page. The only thing I want to mention is that we will also be adding one new design theme in version 4.3. This theme will use the latest capabilities of our content management system to enable so-called 'flexible' layout, meaning that your Wild Apricot site web pages would not have a fixed pixel width but would instead expand/shrink depending on the visitor screen resolution. One other small fix that made it into 4.3 is uploading files with special characters in their file names. In the current Wild Apricot Version 4.2 it is not possible to upload files with some characters like '&", e.g. "Tips&news.pdf". This limitation is described in our online help but quite understandably most users would not know about that -- so would try to upload a file and get frustrated as the upload kept failing, and would contact our support team. In version 4.3 all these special characters will be simply replaced with underscores on the fly. As I described before, the main focus of Version 5.0 will be on new interface for our Content Management System, aka Website Module in Wild Apricot. We are building a new interface from scratch to take advantage of new technical capabilities we built into Wild Apricot and released with Version 4.2 back in May. As of now, only the users with advanced web design skills (and/or more adventurous users :-) ) have started to explore these capabilities via Advanced customization functionality we call Theme Override. I actually have a much longer list of all the enhancements -- but it is not yet clear which ones we will manage to include in 5.0 and which ones will have to wait for the subsequent Version 5.1. The current version of Wild Apricot does not include any pre-built email templates -- you have to create one within the system or get it from some other source. (By the way, check this forum post that lists some places where you can get free email templates, and explains how to use those in Wild Apricot). 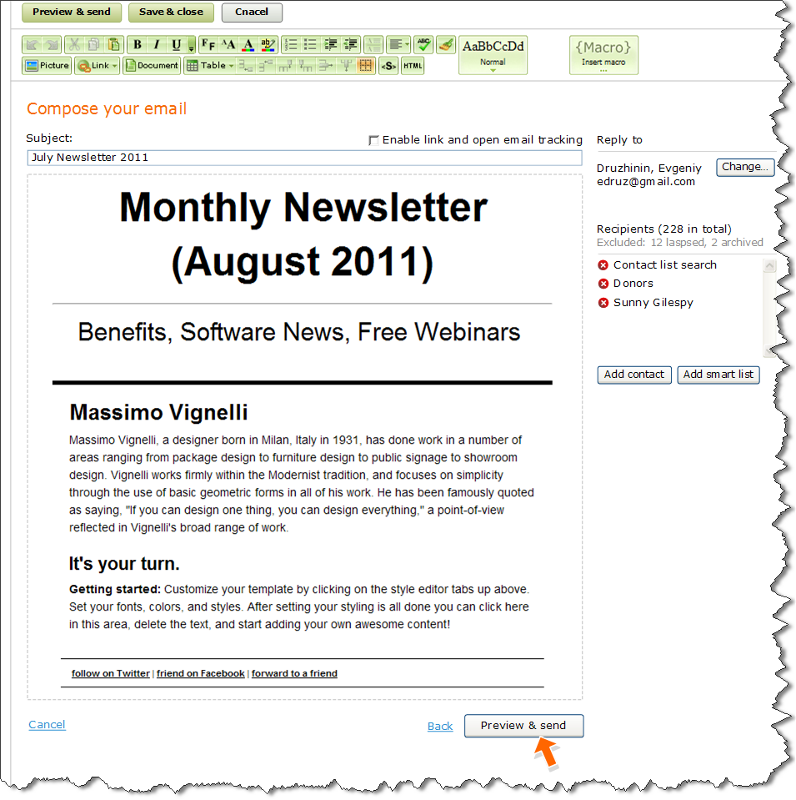 As you have probably noticed, we have been rolling out email-related enhancements in each release and built-in email templates is another important step which will allow more and more Wild Apricot users to handle all their email needs from within our software instead of having to export contacts and use additional systems. Final interface details are being designed now -- and then we will have to figure out if we are able to fit this into version 5.0. Knowledge Hub -- this is something very cool our colleagues Jay and Lori have been working on, building on the Wild Apricot blog (news and useful information for associations, small non-profits and such) and taking it to the next level by creating a library of articles and guides with much longer 'shelf-life'. Our goal is to provide new organizations -- or new board members and volunteers -- with practical, in-depth information on topics like membership management, event management and non-profit communications. More details to come soon! We are quite proud of our online help site -- it is very comprehensive, with screenshots, videos, links between various related topics -- and we keep it up to date with every release. (Frankly, I think Wild Apricot's online help is one of the best in the industry. If you have come across other great online help sites for complex software, please let us know -- we are always looking to learn from others!). 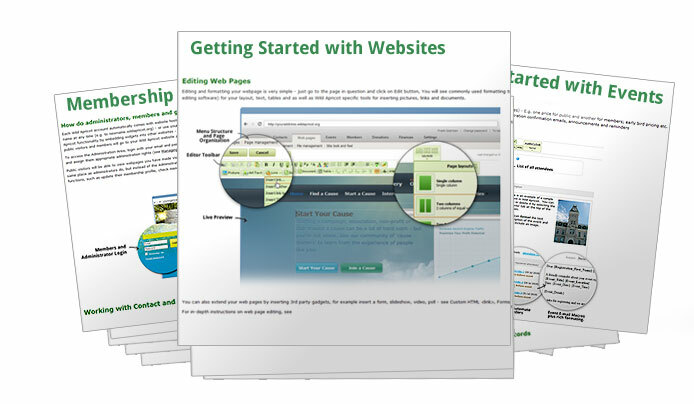 A huge challenge when creating documentation / help websites is to focus on user's needs/tasks instead of just a lame listing of all the screens and buttons in the software (Press Edit button to edit. Press Cancel to Cancel. Press Settings to change settings...ad nauseum) . We are quite aware of this and have been trying to avoid falling into that trap -- succeeding on some of our help pages and not so much on others. I continue to be impressed with Wild Apricot and your team. I am particularly looking forward to email templates, as I believe this will allow me to use WA for a special subscription news bulletin I currently send via Constant Contact (which many of my members have trouble receiving). 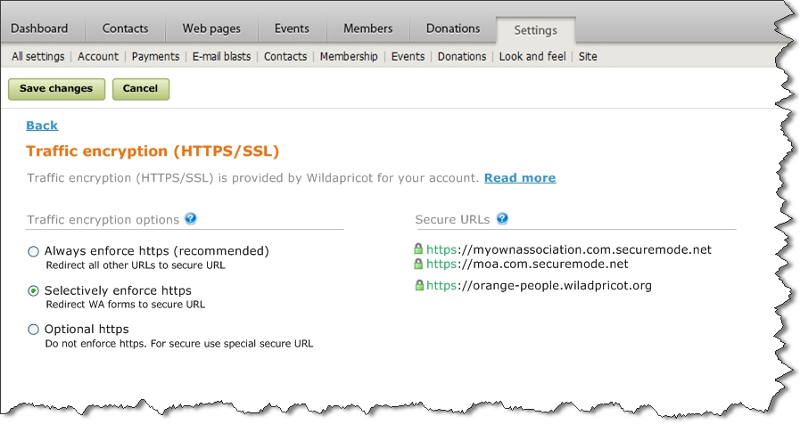 Glad to see SSL encryption has made it into the pipeline for Q1 2012. This feature will make our membership users much more comfortable with our upcoming move completely into Wild Apricot, and allow me to use WA's great features to automate a great deal of my membership management workload! I just had the chance to read the last newsletter. 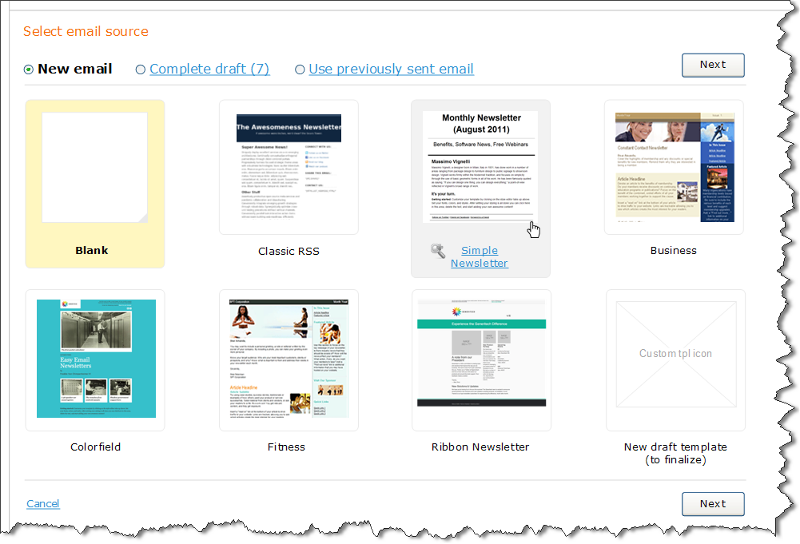 I LOVE the changes that you have in mind for the email side of Wild Apricot. I cant wait to use the templates. - Looking forward to the new version. Need a beta tester?